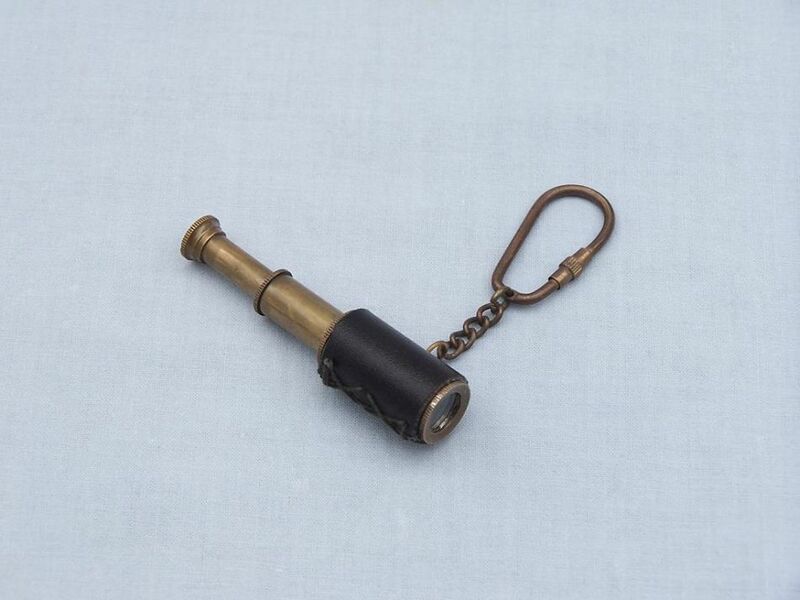 This nautical-themed key chain is both adorable and functional, featuring an antique brass spyglass key fob. 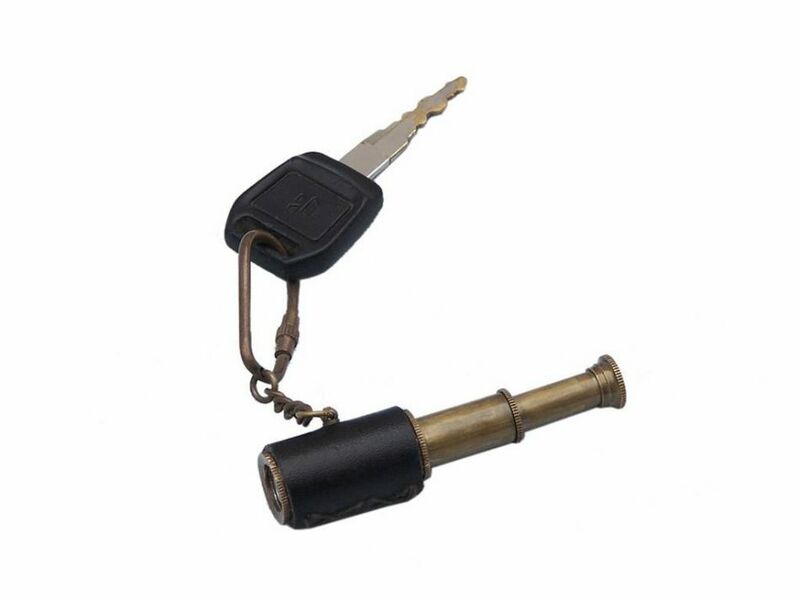 Crafted from antique brass and wrapped in leather, this key chain is as beautiful as it is durable and functional with a knurled knob that allows you to easily and securely add or remove keys from the ring. 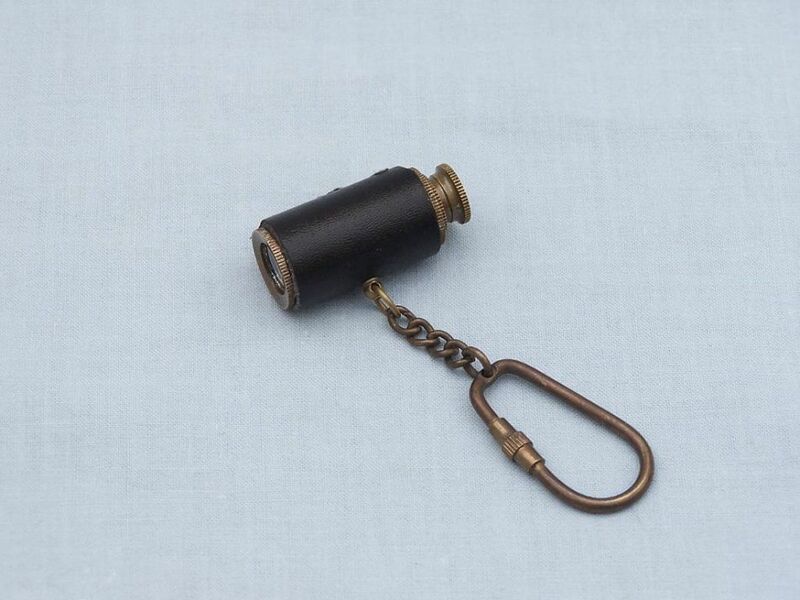 These wonderful key chains make ideal gifts for all.